Tsukiji Market is the most popular destination for our Food Sake Tokyo tours. 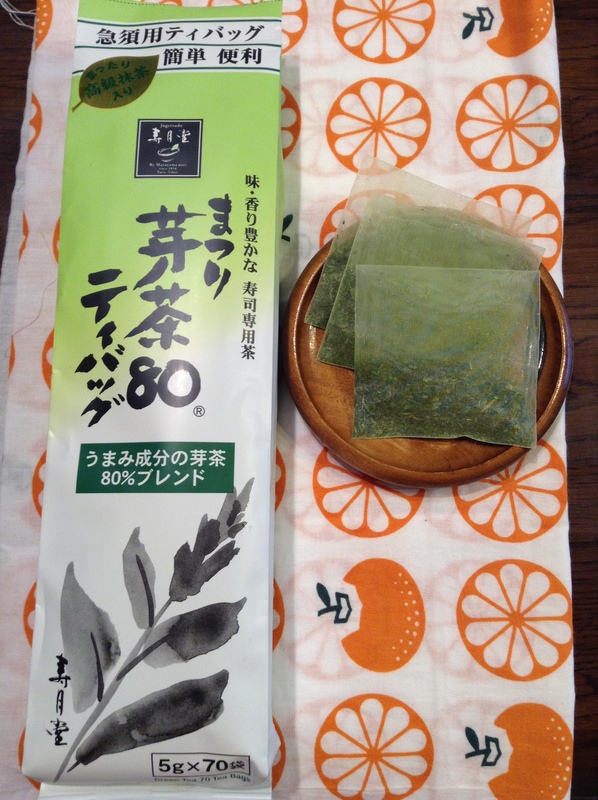 Perhaps the most popular item that clients buy to bring home with them is Japanese green tea. 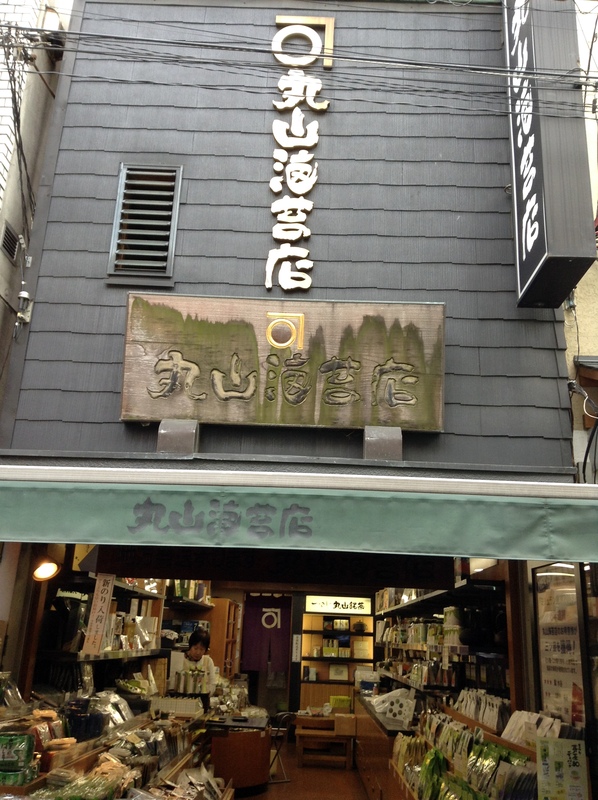 My favorite tea shop in the market is Jugetsudo which is at the Maruyama Noriten Shop. The shop sells a variety of tea including mattcha, genmaicha, hōjicha, and seasonal teas like a sakura tea that has cherry blossoms mixed with the green tea. What I recommend for busy people who are not in the practice of steeping loose tea are these convenient tea packs. The tea can be served hot or cold. The cold tea is cold brewed simply by putting one bag with a liter of cold water in the refrigerator. A small package of 15 tea bags retails for 400 JPY. This larger package of 70 tea bags retails for 1,570 JPY. Here is the cold brew green tea. It is refreshing and nourishes me through the summer. If brewing hot tea, then only 15 seconds in 100 degrees Centigrade water. The Main Shop, which has recently been renovated is at Tsukiji 4-7-5. The inner market, jōnai, shop is at Tsukiji 5-2-1. It has been incredibly hot in Tokyo this last week. Record high for the month of October, 31 degrees C yesterday, almost 88 degrees F. I tend to drink a lot of water while out in the city, but another favorite, if I can find it, are these green tea bottles. 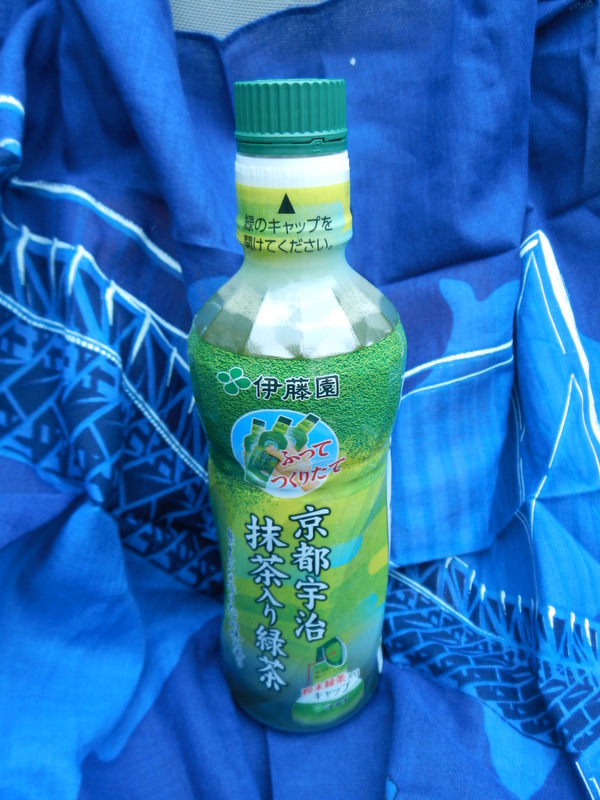 Powdered green tea, sometimes sencha, or sencha mixed with mattcha, is in the cap of the bottle of water. When you twist open the cap the tea falls into the water. 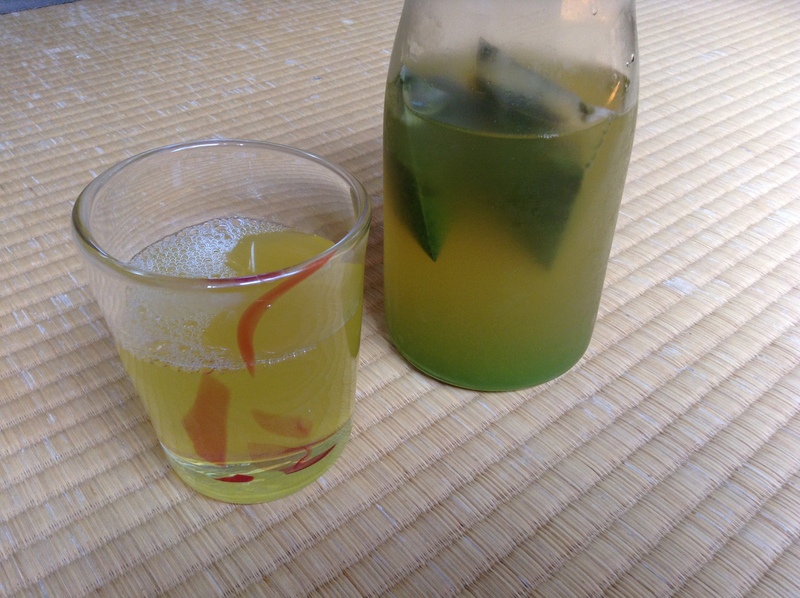 Just shake up the bottle and you have cold, fresh green tea. There are a few shops in Tsukiji Market selling this. Usually you’ll see it in front of a tea shop in a big bucket of ice.